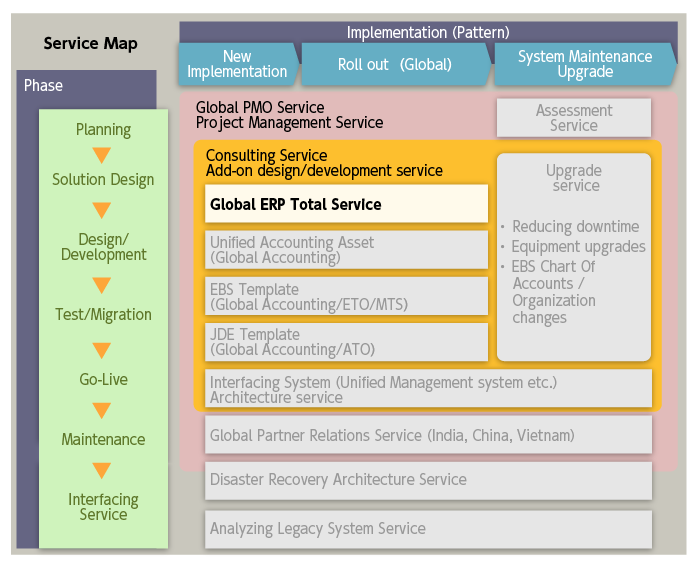 Toshiba provides one stop ERP service (incorporating phases from Planning to Implementation and Maintenance) to customers based on Oracle® E-Business Suite and Oracle® JD Edwards EnterpriseOne. Also, we hold abundant experience in Global roll outs and in tackling with complex business scenarios. 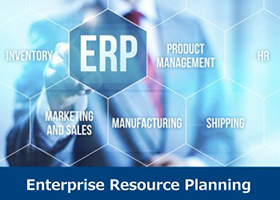 By utilizing the plethora of templates and assets, we implement the low cost ERP solution within a short period. Please use the latest version of Adobe Reader® to see PDF file.